This Summit Theme examines the complex governance of land and forest resources in Southeast Asia and explores ways to shape institutions, decision-making processes and rules so that they encourage sustainability in the landscape. The landscapes of Southeast Asia are in constant change, shaped by various forces that interact in complex ways: the livelihood activities of smallholders, large-scale land-based investments, and governance systems operating at global, regional, national and subnational levels. 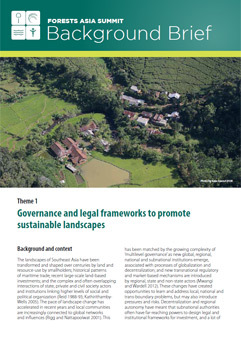 These multilevel governance systems — institutions, decision-making processes, and formal and informal rules — influence who has access to land and forest resources and how these resources are managed. 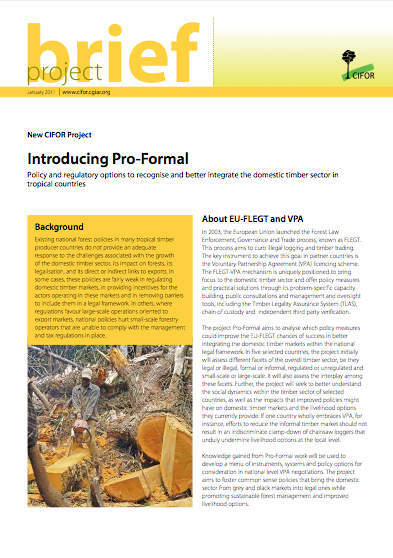 The emergence of new transboundary forms of regulation in Southeast Asia to address challenges such as illegal logging and the fire haze. An example is forest certification, a market-based response to the failure of intergovernmental processes to establish a global convention on forests. Insecure land titles and unclear land and forest use rights throughout Southeast Asia. Insecure tenure, unclear rights and inadequate participation leave the rural poor, especially women and other marginalized groups, increasingly vulnerable to agricultural expansion, illegal logging, new infrastructure and demand for land. Recent tenure reforms have had mixed results, revealing a need for new strategies. Jurisdictional approaches to green development in selected Southeast Asian countries. Subnational jurisdictions, such as provinces or districts, play an increasingly important role in shaping investment and trade dynamics. If jurisdictional approaches are to ensure sustainable green growth, they must improve public policy alignment, institutional coordination, access to information and stakeholder engagement. 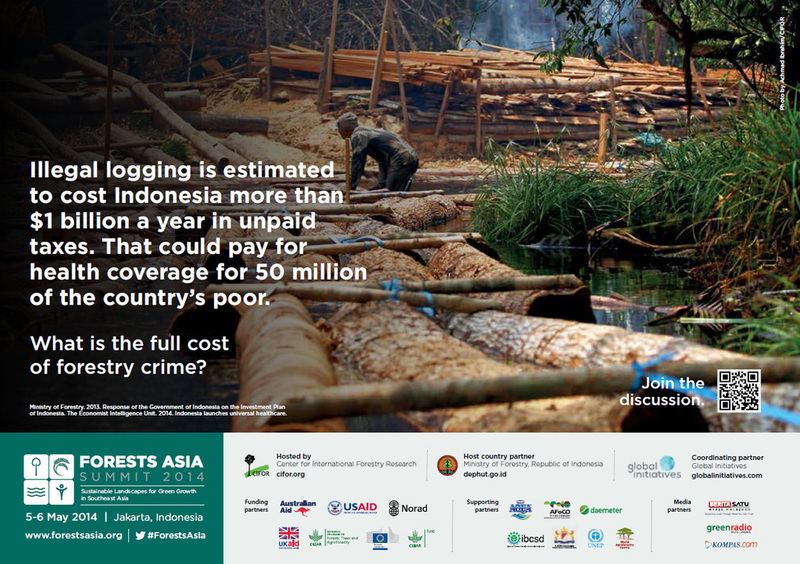 What is the full cost of forestry crime? Ministry of Forestry. 2013. Response of the Government of Indonesia on the Investment Plan of Indonesia. The Economist Intelligence Unit. 2014. Indonesia launches universal healthcare. Will this end only when the forests are all gone? FAO. 2011. 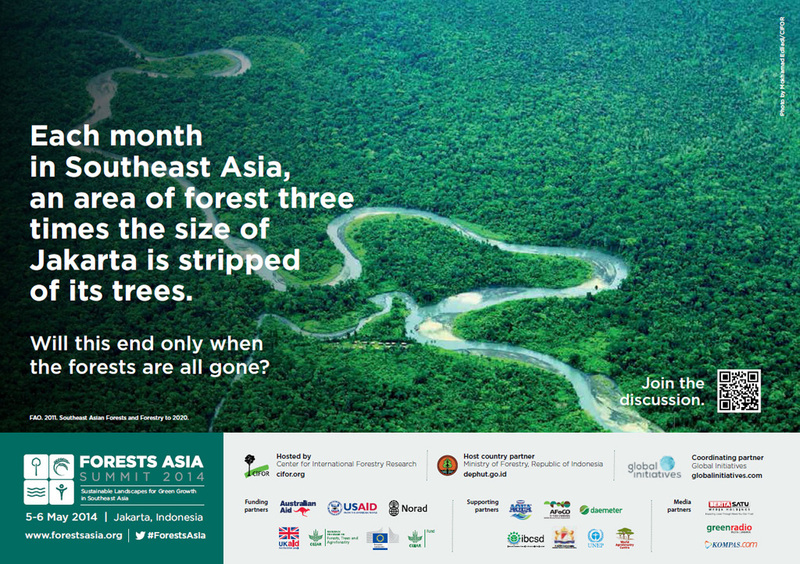 Southeast Asian Forests and Forestry to 2020.